Portfolio Sleeves are universal and fit all ring mechanism folios. 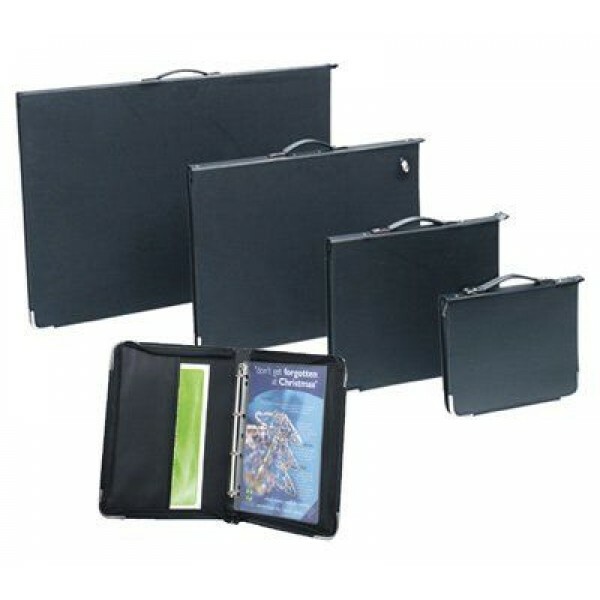 Each sleeve is supplied with blac..
Soft Padded rigid presentation case with multi ring mechanism. Includes: 3 x clear sleeves with black paper, carry strap, zipped pocket & internal CD pocket. Holds up to 20 Sleeves.